'Juice sacs.' Just what I wanted to see when I googled 'pomegranate' right before bed last night. ....and visions of juice sacs danced in their heads. For the purposes of not ruining this beautiful cocktail with our filthy minds (ok my filthy mind), let's stick to arils. Or seeds. 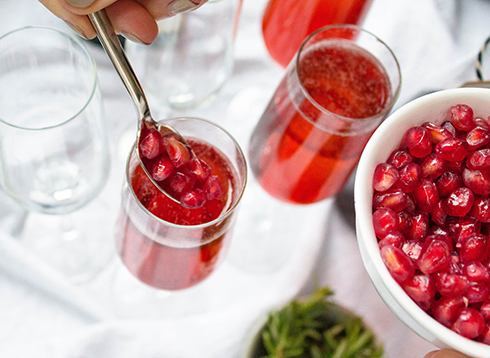 Whatever you'd like to call those glimmering little gems one finds inside a pomegranate. And then stained onto your fingertips. And on the collar of your white shirt. And smeared on the rug, which someone likely tracked in from the kitchen. And holy, what how did pomegranate juice get on the dog? WHO WIPED THEIR HANDS ON THE DOG. Aahhh so there's a reason Trader Joe's sells containers of pomegranate seeds. I now see the light. 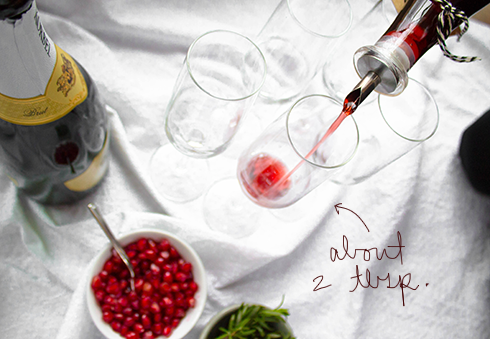 Truth be told though, I'm so excited to get you drunk share this recipe with you that I don't care how many obscure places I find pomegranate stains over the next three days. Ain't she perty?? 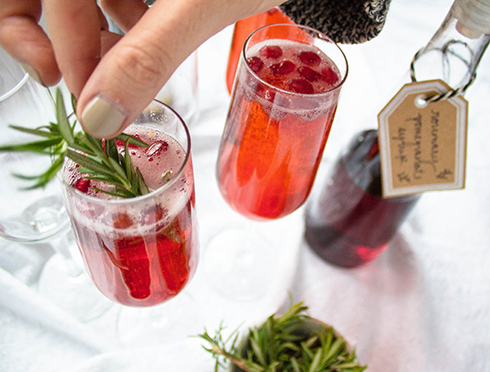 The crimson syrup with the deep green rosemary is like the closest thing to drinking Christmas. This is also a great cocktail to allow guests to help themselves to, and to show off your DIY skillz. Bottle with spout plus twine plus tag equals most Pinteresting person at the party. Arrange all of the ingredients with a little instructions card, and voila - you're free to set up camp at the cheese plate. Which is where you'll find me too, so cheers to THAT! And for good measure, a Cranberry Lemon Cake that Santa actually requested I include because it explodes with Christmas spirit like Buddy the Elf wouldn't even believe. 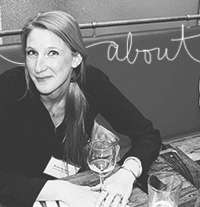 Wishing you warm company, great food, and minimal stomach issues this holiday season. Enjoy, friends! Add pomegranate juice, water and sugar to a saucepan. Place over high heat and bring to a boil. Cook for three minutes, uncovered, until all of the sugar is dissolved in the liquid. Remove from heat. Submerge rosemary sprigs in the liquid. 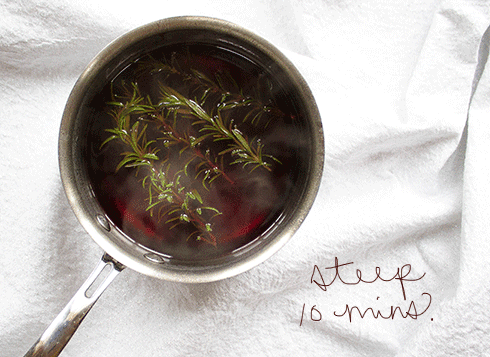 Cover with a lid, and allow the rosemary to steep for 10 to 20 minutes. Can be made ahead of time and stored in the fridge. 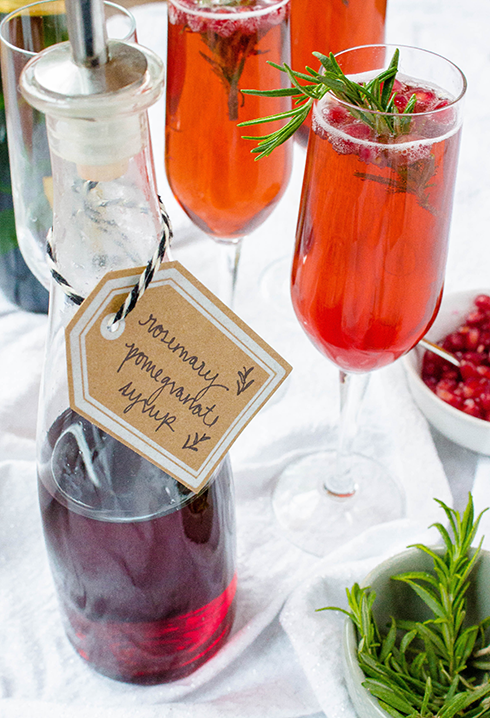 Pour about 2 tablespoons of the rosemary pomegranate syrup into a champagne flute. 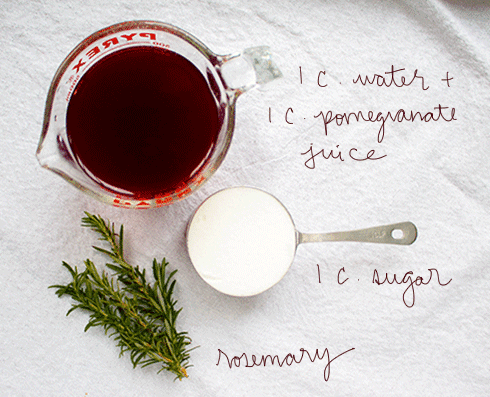 (3 tablespoons for a sweeter drink.) 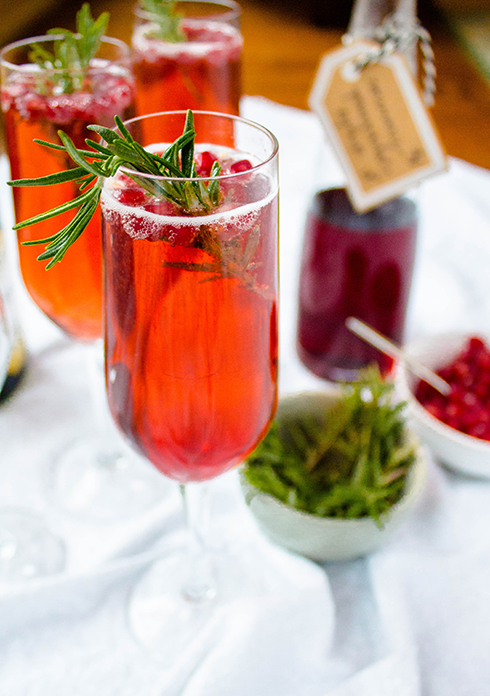 Fill the rest of the way with chilled champagne. 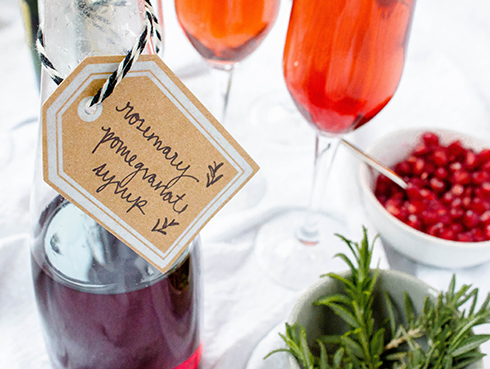 Garnish with pomegranate seeds and a small sprig of rosemary.